DM says she works in politics... and is potentially racist. What. The Hell. If these allegations are true that is not cool, Ch 10. Politicians are generally not popular in AU - she might have been cast as a villain. Another Bachelor contestant competing for the heart of sports star Nick 'The Honey Badger' Cummins has been revealed. Daily Mail Australia can reveal that a former staffer for Opposition leader Bill Shorten, Alisha Aitken-Radburn, is trying her luck at the reality dating show. The blonde beauty was also allegedly involved in a race scandal while at Sydney University, with 'complaints' made against her. 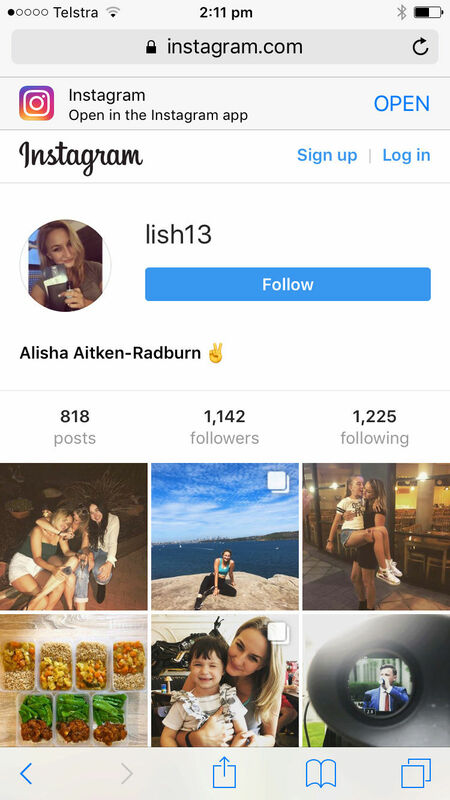 According to her LinkedIn profile, Alisha says she is an 'advancer' for Bill Shorten in Canberra. A source told Daily Mail Australia that an email 'went around the office saying she has left to 'pursue a project'. The source also said she had recently broken up with her boyfriend Dean Shachar, a 'Vice President of the Young Liberals', who is an adviser for Pru Goward, according to his LinkedIn profile. The writer also claims Alisha 'upset' some Facebook users in a post over comments she had made underneath a picture of two women in 'blackface'. 'The picture in the post was of two young white women in 'mud masks', dark faces in stark contrast to pallid necks, grinning into the camera,' the post claims. The writer claimed she had posted her thoughts on this in a Wom*n's Collective page. 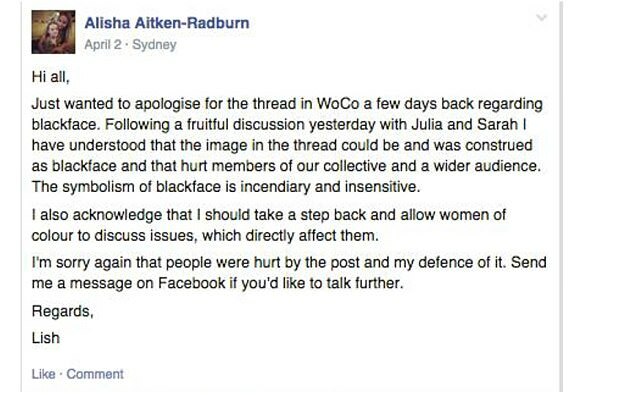 The writer claims Alisha then had a meeting with herself and a Wom*n's Collective officer and agreed to write a formal apology and a letter on Honi 'about the negative effects of blackface'. Thanks @AAL. I agree, poor form casting her IMO. As you have said before, it seems like from last season on Bach casting is going to be based more on BiP potential than compatibility with the Lead. Ch 10 did similar with the Oldfields on IACGMOOH who IMO are both racists. They got a very poor reception at camp and were voted out by the public within a week - I would have thought that might have sent a message to TPTB but apparently not. 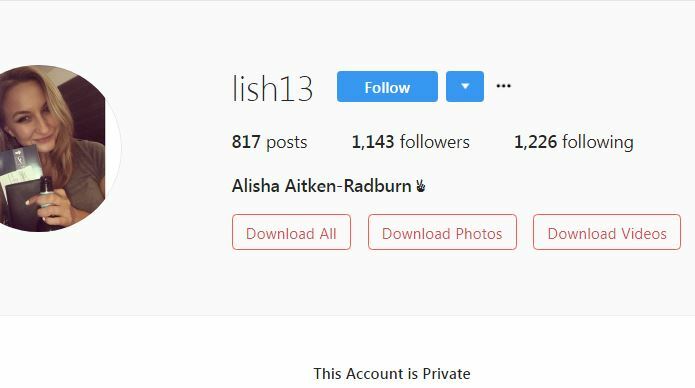 Back to Alisha... does anyone else find it weird that she isn't really smiling in any of her IG pics? Maybe she's self-conscious about her teeth but it makes her look a bit smarmy and disingenuous, IMO. Alisha's stats as of March 19. This could go either way IMO - either they'll out her as a racist really early and she'll be one of the first to go, or they'll keep her around till mid-season "for the drama". Great idea taking the screenshot, @Dirty Street Pie. So Alisha may be out? Either that, or she has limited access to social media. She has gone private now, so I can't post a screen shot, but she has decreased by one post, and increased followers and following by one. That's good IMO - if they'd kept her around it would probably have been for "dramatic" purposes so better to just let her go early IMO. Kind of feel bad for the girl - she quit her job to go on the show (and the position was advertised last week, so she's probably already been replaced) and for what? A week on a reality TV show where your character can be manipulated into whatever the producers choose to portray. Not a wise career move if you want to continue in the field of politics, IMO. If the account is private we can take a s/shot of it because that is public, everyone can see that. However if she was following anyone back, then we can't post any posts from the IG because it's private. Thanks for that @GuardianAngel I was unsure as to what I could post about a private account. OMG I know this girl! She dated one of my acquaintances! haha what small world! Looks like Alisha is definitely out. Top 12 pictured below and I don't think any of them are her. Please CMIIW. I don't see her in that pic either. Good sleuthing all around on Alisha. Looks like perhaps her crappy attitude ended her time on the show as per @quix uni comments, and @Bobette 's speculation.